F&O Imports is an importer, master distributor, and manufacturers representative of commercial European espresso and specialty coffee equipment. All of our dealer programs include the option of delivery, installation, service support and equipment for any coffee concept or operation large or small. Regardless of the application, F&O Imports provides industry consulting and equipment needed to support any end-user training and ongoing maintenance as needed nationwide. Consult with your regional sales representative for more information on how we can meet your specification needs or help design a custom espresso program for your clients. Innovative technology capable of very high volume while maintaining excellent quality and reliability. Italy's number-one brand and the largest manufacturer of espresso equipment globally. The market-leading manufacturer offers a full range of sizes, operating types, and styles for the discerning end user. High-end German coffee grinders that are the first choice of baristas around the world. The industry leading manufacturer of top end espresso and filter coffee grinders in sizes and models for all production needs. Innovative espresso and coffee brewing systems that free up space and invite customers to engage in the coffee production. The barista's choice for professional full-featured espresso equipment, Nuova Simonelli is one of the most respected and reliable brands on the market. 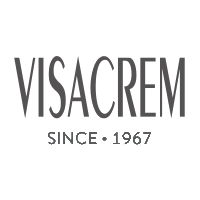 Visacrem makes quality machines in 1 to 3 groups to meet a variety of requirements for design, capacity and price.